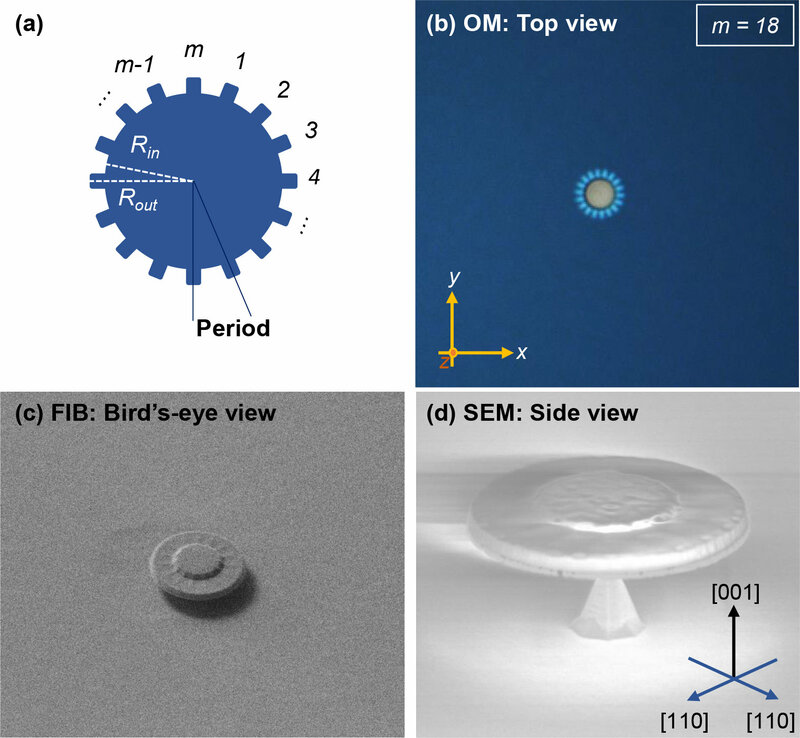 The researchers, from the University of Southampton in the U.K., and the University of Tokyo, Toyohashi University of Technology and Hitachi Ltd., all in Japan, describe the new light-emitting gears in The Optical Society (OSA) journal Optics Express. With a radius of one micron or less, 250,000 of the gears could be packed into just one square millimetre of a computer chip. There is a great deal of interest in generating light that is twisted or has orbital angular momentum, because of its advantages for communications and computing. Today, light is used to carry information by varying the number of photons emitted or switching between light's two polarization states. With twisted light, each twist can represent a different value or letter, allowing the encoding of a great deal more information using less light. "Our new micro gears hold the potential for a laser that can be integrated on a silicon substrate— the last component needed to create an integrated optical circuit on a computer," said the paper's first author Abdelrahman Al-Attili, from the University of Southampton. "These tiny optical-based circuits use twisted light to transmit large amounts of data." It has been impossible to make a usable miniaturized light source on silicon, the material commonly used to make computer chips and associated components because the material's properties led to poor light-generating efficiency. Although germanium has similar limitations, applying strain by stretching it can improve its light emission efficiency. "Previously, the strain that could be applied to germanium was not large enough to efficiently create light without degrading the material," said Al-Attili. "Our new micro gear design helps to overcome this challenge." The new design features microtears that are freestanding at the edges so that they can be stretched by an oxide film deposited over the structures. This allows tensile strain to be applied without breaking the germanium's crystal structure. The gears stand on a silicon pedestal that connects it to the top of the silicon substrate and allows heat to dissipate during operation. "Silicon fabrication technologies that were developed to make electronic devices can now be applied to make various optical devices," said Al-Attili. "Our micro gears are just one example of how these capabilities can be used to make nano- and microscale devices."